The following research arose from the bestseller Internal Combustion: How Corporations and Governments Addicted the World to Oil and Derailed the Alternatives (Dialog Press).Buy it here. In the fifteen hundreds, peat fuel was surpassed by an even more distasteful alternative: coal. The same millennial process that produces peat also yields coal after final eons of geological pressure. Known for its noxious, smelly smoke and grime, coal, in spite of its repulsiveness, trapped more concentrated carbon energy per pound than firewood, charcoal or peat. True, it was mined from the ground in hazardous operations. True, this dismal fuel alternative transformed England into a sootscape. But by virtue of its immense power yield, coal defined centuries of English industrial life and concomitantly allowed that country to preserve her rapidly dwindling forest lands for more important things, such as building naval warships. Coal use began not with the well-known ore extracted from subterranean seams, but with a similar substance called "sea coal" that washed up along the coast near Durham in England's northeast. Later, the more familiar rock was also discovered inland, exposed in the hillsides and the banks of the nearby River Tyne. The Romans certainly employed it in the early centuries of the Common Era. The combustible nuggets produced the fuel to forge Roman military metal and operate Caesar's war fortifications. By the twelfth and thirteenth centuries, the peasant class, especially those without access to peat, was compelled to rediscover coal as a substitute for wood. The royal wood monopolies and hoarding regimens had made the repugnant sea coal a necessity for the average man's survival, as well as for industrial and commercial growth. In the last four decades of the thirteenth century, the cost of wood increased about 70 percent, while sea coal only increased only 23 percent. Coal became affordable. For most in London, wood was not. Even though the New Forest had been dismantled, cartel hoarding kept the woodlands out of reach of most households and manufacturing concerns. Londoners had no choice but to resort to sea coal, which was rapidly becoming known simply as "coal." By 1300, London's total annual wood fuel demand was 70,000 acres. By 1400, it was only 44,000, despite prodigious industrial, commercial and population growth. Why? Because wood and charcoal continued to hover out of reach for the many. That said, the abundant use of cheap coal, toxic and polluting as it was, actuated the city's extraordinary expansion, turning London into an economic powerhouse--a sooty, choking powerhouse, but nonetheless a powerhouse. Yet almost from its inception, coal became more than just an abundant substitute source of fuel to benefit the advancing Western European civilization. For mankind, coal was both a blessing and a curse. This black combustible was plentiful in the ground. It was also poison in the air. That said, a nugget of coal was power in the palm of one's hand. But whose hand? Quickly, coal became the basis for a rapacious controlling medieval cartel that manipulated its supply, gouged the price and waged war against competitors. The Lords of Coal achieved great personal wealth, but doing so required continuous deception, price fixing and other monopolistic tactics to the disadvantage of an entire society that depended upon their commodity. The glissando of coal cartels began in the Church, which owned the original northeastern coastal lands that contained the deposits, especially around Durham. In the late eleven hundreds and throughout the twelve hundreds, the Prince Bishops of Durham controlled much of northeast England's best coal. The holy men of the Durham diocese were called "Prince Bishops" because they enjoyed the independent power to convene their own parliament, raise armies, levy taxes, and control the woods and mines of Durham County. A steward to Anthony Bek, a Prince Bishop from 1284 to 1311, openly declared: "There are two kings in England, namely the Lord King of England, wearing a crown in sign of his regality and the Lord Bishop of Durham wearing a miter in place of a crown, in sign of his regality in the diocese of Durham." For many years, the ecclesiastic monopoly was able to manipulate coal prices by restricting supplies. In 1303, the Prince Bishop of Durham, under increasing pressure from London to reduce his secular activities, leased key coal lands to wealthy speculators. By this time, a budding rival cartel was emerging in nearby Newcastle on the Tyne. No matter how much coal was pulled up in baskets from the dugout mines and excavated from the deep pits of Durham, the coal depended upon the River Tyne for transport. Newcastle and its monopolistic guilds controlled the River Tyne. After a bitter feud with the Prince Bishops, the merchants of Newcastle wrested the monopoly from the church and built their own powerful coal cartel. The successor cartel, not controlled by any church or crown, was a combine of private merchants known as "the Hostmen of Newcastle." The Hostmen were willing to squeeze and starve all of coal-dependent Britain and Western Europe for their financial gain. Their success was guaranteed by the great geographic fortune of a river they controlled and, of course, the dearth of wood that made coal increasingly indispensable. Certainly, coal deposits existed and were mined elsewhere in England, Wales and Scotland. But the Tyne River allowed Newcastle to treat their coal not as a local commodity but as an export to the fuel-hungry cities, such as London. Coal was transported by water. Those cities that imported coal became dependent upon the Hostmen and their river-empowered monopoly. The almost invincible coal monopoly of the Hostmen lasted for centuries. 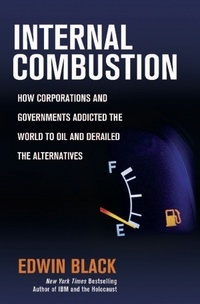 The Hostmen wrote the rulebook and the schoolbook for all fuel monopolies to follow, even into the twenty-first century. They invented the calculated energy shortage. The Hostmen tradition began with the Merchant Adventurers, that is, the medieval mariner merchants of the fourteenth century who obtained royal sanction for their adventurous trade with distant ports, especially in the Netherlands. By virtue of their royal recognition, the Merchant Adventurers secured various monopolies with much of Western Europe, such as the cloth trade. But just a few dozen insiders controlled the three to four thousand Merchant Adventurers who plied the North Atlantic. Hence, the Merchant Adventurers functioned as a very closely-held cartel with an international scope. The Merchant Adventurers in Newcastle expanded their trade into coal, and by 1377 some 15,000 tons were being shipped to several dozen ports, mainly London and the rest of England, but also overseas to Holland. Coal required a river to transport it to the sea, and eventually the burgeoning coal ships, known as colliers, became too large to approach the shore. No matter how much sweat and pain was exerted to pull the coal out of the earth and lug it to the shore, the final decisive yards were under the control of more than a thousand colorfully dressed, mostly Scottish river keelmen who methodically ferried the black heaps from the Tyne's bank to the hungry colliers waiting mid-river. Commercial protectionism was one of Newcastle's greatest strengths. Newcastle had been a town of "freemen" since 1213. That is, the town was endowed by King John with certain home rule powers, such as electing its own mayor and council, and establishing exclusive guilds. No one under Newcastle jurisdiction could trade with any individual who was not a freeman except under certain protocols. Even those freemen who traded were subject to strict guild regulations over such products and services as wool, iron, baking and brewing. Those facets of trade not controlled by Newcastle's established monopolistic guilds--the commercial leftovers--were open to the Hostmen. The Hostmen, so named because they "hosted" other merchants and traders, were middlemen. Coal in the twelve hundreds and thirteen hundreds existed as a relatively new aspect of commerce, one not covered by Newcastle's powerful guilds. The Hostmen organized into the Company of Hostmen and seized upon coal commerce. Being sea-going merchants, the Hostmen zeroed in on keelboats. They owned the boats. Thus, they exercised total control over the restive wage-earning keelmen. That gave the Hostmen effective control over the coal, regardless of who owned the coal mines. No coal could be carried down the river unless Hostmen keelboats serviced the anchored cargo vessels. Clearly, the Hostmen's expansion presented direct competition to the sovereign Prince Bishops of Durham. But by the beginning of the thirteen hundreds, Edward I had apparently promoted the Hostmen's claim over coal to the detriment of the monastic monopoly. That gave decisive inertia to the Hostmen. The aggrandizement of the Hostmen continued throughout the thirteen hundreds during successive royal reigns with Crown writs of protection directed against the Church and other competitors. In 1404, Henry IV formally recognized the Hostmen as an official company. Throughout the fourteen hundreds, wood fuel became a progressively scarcer commodity. The Encoppicement Act of 1483 mandated that charcoal-producing woodlands be left protected for seven years at a time. As wood availability dwindled, coal continued to ascend, with the Hostmen at the helm. By the fifteen hundreds, the Hostmen rigidly controlled every keelboat and keelman on the River Tyne. Their river ferrying consolidation coincided with Henry VIII's dissolution of ecclesiastic powers throughout England beginning in 1536. This permitted the Hostmen to move beyond the river. They acquired and/or leased many of the nearby coal mines themselves. Then they went further and purchased interests in the great collier vessels. By the fifteen hundred and fifties, the Hostmen commanded the coal--from ground excavation to river distribution--that much of England and several Western European nations depended upon for their social and industrial lifeblood. The town of Newcastle grew to some 10,000 inhabitants, many directly or indirectly involved in supplying coal to England and Western Europe. Coal was Newcastle. Newcastle was coal. Newcastle functioned almost like an insulated and autonomous exporting nation, but situated within the kingdom. With the rise of the Royal Navy and other national fleets in the mid-to-late fifteen hundreds, massive amounts of wood were diverted for war vessels. This too further pinched the availability of wood for charcoal. In 1578, Elizabeth I, who owned the coal lands of the Newcastle region, decided to profit more personally. She issued an advantageous 99-year lease to her favorite moneylender and industrialist, Thomas Sutton. Her so-called Grand Lease gave Sutton control of vast stretches of Newcastle coal holdings. Sutton and Elizabeth could rule the nation's energy supply. But Sutton was not a Newcastle freeman and instead considered an outsider. Although he owned the mines through royal lease, Sutton was unable to buy or influence his way into the Hostmen's favor--despite the Queen's personal backing. Allowing Sutton to exercise his lease would have created competition for the Hostmen. They froze him out of freeman status, and prohibited the keelmen from ferrying any of his loads. Within five years, the influential Sutton was forced to sell his leasehold to the Hostmen. On July 7, 1583, he transferred his massive lease to two Newcastle aldermen for a mere £4,750. But Elizabeth I still owned much of the Newcastle coal lands, whoever exploited them. Moreover, royal counselors advised the cash-strapped Queen to quietly lease additional coal tracts in Durham from other owners. That meant the Church. Elizabeth successfully pressured the bishop to approve cut-rate land leases to her. Then, acting as a pure middleman, the Queen re-leased the land to genuine mine operators at a profit, thus adding shillings to every coal consumer's fuel cost. In 1570, when Elizabeth passed a law against the further cutting of trees for smelting in her own remaining Royal Forests, this to preserve wood for navy shipbuilding, demand for her coal lands simultaneously soared. That demand continued to grow exponentially due to the onslaught of better and more charcoal-consuming smelters. With the rise of navies, the need for iron cannons, anchors and fittings multiplied. The forests literally sprouted blast furnaces and forges, especially since smelting operations were by necessity located within ten miles of a forest and its charcoal supply. For example, the Forest of Dean in the three decades after 1590 attracted eleven new blast furnaces and thirteen forges. A man traversing the forest would discover one blazing smelter every two square miles. Each such ironworks consumed the annual regrowth of 70,000 wooded acres. By the end of the sixteenth century, the new forbidden fruit for the masses was not an apple, but a tree branch. Wood was reserved only for the most essential needs or affluent customers. Every preserved tree only increased the power of the Hostmen. In 1590, the Lord Mayor of London complained to Queen Elizabeth's treasurer, Lord Burghley, "of the monopoly and extortion of the owners of Newcastle coals." Unbeknownst to most, during the prior few decades, Queen Elizabeth had herself become an entrenched--albeit unseen--member of coal's cabal. In 1600, Elizabeth went further, incorporating the Hostmen syndicate as a guild with a Royal Charter, thus cementing their power over the precious black rock. Although the Hostmen ostensibly numbered in the hundreds, their network was controlled by an inner elite of a few dozen influential men, most of them also Merchant Adventurers, and most doubling as officials of Newcastle's municipal government. What the Hostmen elite, the Lords of Coal, could not accomplish through bruising business tactics, they affected through bureaucratic maneuvers. It was these powerful men that Elizabeth specifically named for the Royal Charter. The price for Elizabeth's assent: a one-shilling duty on every domestic chaldron--36 bushels--of coal and five shillings on every exported chaldron. The Crown several decades later transferred all the coal duties to the Duke of Richmond's family, giving rise to the term "Richmond Shilling." It is unclear whether the Richmond Shilling was ever a genuine tax, or a kickback, or a little of both. Either way, the arrangement made the Crown, and later the government, a silent partner in the monopoly. The arrangement, through various royal and governmental ownerships, remained in place for 231 years. By 1600, coal had essentially replaced wood as the dominant fuel of England. Within a decade more, the Hostmen were annually shipping nearly 240,000 tons of coal down the River Tyne, about 10 percent of it destined for foreign ports. That was more than 20 times the coal shipped by the miniscule surviving coal industry in nearby Durham, which shipped via the River Wear. By 1630, approximately 80 blast furnaces across England and Wales burned day and night, annually disgorging an estimated 25,000 tons of pig iron destined to be fabricated into everything from battle axes to banisters to belt buckles. Elizabeth's heir, James I, created several greed-driven cartels. But coal was perhaps the most bloated. The people groaned under the weight of those monopolies. A 1623 parliamentary statute forbade all monopolies. Just one was exempted: the Hostmen of Newcastle. With the ability to halt coal to any city, stop its industry, disrupt naval operations and throw any population into the dark or winter frigidity, the Hostmen were too powerful to stymie, too influential to cross. A journal in 1637 recorded that of the "Many monopolies spoken of," the most awesome provided "that only ten men may sell coal throughout England." Coal became a national security issue as well. The long supply route from Newcastle to London and other southeast English cities worried military planners. They proposed a squadron of warships devoted to protecting the irreplaceable and indispensable coal convoys. Dependence upon Newcastle extended beyond the English cities to the south. To feed Western Europe's industrial lifeline, French importers would dispatch fleets of forty or fifty cargo vessels at a time to haul Newcastle's black gold to ports in France, Germany, Flanders and beyond. Clearly, disruption of a single cargo flotilla could shut down the industrial infrastructure of any number of foreign nations. No power rivaled the power to enable power. The Hostmen possessed that power. They knew it. England knew it. Western Europe knew it. King Charles could not resist skimming Newcastle's accelerating coal revenues. In about 1637, with a cancellation of the Royal Charter always looming, Charles sealed a secret deal with the Hostmen to sell their coal to him, as a sub rosa middleman. He would then re-sell at a profit to the entire country, creating a surcharge on every chaldron--justified by nothing more than the Crown's desire to accrue more wealth. This payoff was of course incorporated as a cost of doing business, passed on to the coal ship owners and from them to the struggling consumers. So broad a skimming operation, involving numerous royal sales agents and brokers, could hardly be kept a secret. Word circulated. Fierce protests against the king's avarice arose from both the ship owners and the public at large. Charles was forced to rapidly abort his effort to siphon Hostmen profits. This only proved that the Hostmen could survive efforts to share their power. Their profits remained intact and undiluted. Indeed, the Hostmen's monopoly was continuously fortified against all comers with well-honed frivolous litigation, shadowy municipal obstruction and raw intimidation. Each year, their lock became stronger. In 1638, one coal mine operator rigorously compared Hostmen tactics to "other irresistible Oppressions, like the Spanish Inquisition." The outraged mine owner railed, "And what they cannot do by force of their Charter amongst themselves, against any private person opposing, then by Combination [the Hostmen] ruin them at Law, by their Dilatory Plea, and out-pursing them, to the high dishonor of God.... They will not suffer any of the coal owners in any of the two counties to sell their own Coals, but the Owners must [first] either sell their coals to the free Hostmen at what price they please--and then all ships must give them [the Hostmen] their own price, or get none [coal]. This... [is what] makes coal so dear; they [the Hostmen] either hoard or sell at excessive rates, and so reduce the people to miserable condition." Anyone in the two counties of Northumberland and Durham with access to a coal-veined pit or hillside could hoist the mineral to the surface. They could drag it to the Tyne for shipment. But unless the Hostmen ferried it the final yards to the coal ships anchored mid-river, the coal was worthless rock. Clearly, only force could disrupt the grip of the Hostmen. England's brutal Civil War in the sixteen forties targeted the Hostmen when the Newcastle cartel, which owed its existence to a Royal Charter, sided with the monarchy against Cromwell's Parliamentary forces. In the 1640s, Scots allied with the Parliamentarian insurrection invaded Newcastle, trying to assure supplies to the Cromwell side while denying it to those who remained loyal to the throne. The Parliamentarians themselves decided that high taxes on coal would only help finance mercenaries to fight for the Royalists. In 1643, Cromwell's forces decided to forego coal from Newcastle, and blockaded the River Tyne to prevent the Royalist Hostmen from profiting. London shivered that winter, using dried dung, straw and anything else that would burn, just to stay warm and fed. The powerless caught in the power play had no choice but to scrounge and shiver. Misery walked the streets and alleyways of London as coal supplies dried up. In 1644, the Lord Mayor of London sorely protested, "all the poor in the City... are fearful they must sit and blow their [finger]nails the rest of this winter for cold unless some new project... [can] be found out to make the bricks and balls of clay burn." Finally, by force of arms, Cromwell loosened the Hostmen's ironclad monopoly in Newcastle by revoking the Hostmen leases, and opening the coal trade up to nearby rivals, thereby relieving London. But the Civil War only slightly relaxed the Hostmen's grip. London learned that the entrenched coal supply line could not be effectively replaced. Within a few years of the first stage of the Civil War's conclusion in 1646, the Hostmen leases were reconfirmed, thereby ensuring a reliable supply of fuel to all of southeastern England. The Newcastle syndicate's mighty hold was restored, so much so that a swell of new Hostmen members began appearing. These included "fitters," or "agents" for non-Hostmen coal operators desperate to achieve Hostmen sanction so they could also tap the swirling updraft in coal demand. An elite inner cabal of the wealthiest Hostmen reacted to preserve the Hostmen legacy. The most senior Lords of Coal, such as the Lidell family, the Ridells, the Carr clan and the Claverings, policed the larger fraternity, purging it of those who tried to beat the group by joining it. After the monarchy was restored in 1660, the surviving efforts to ensure abundant and multiple supplies of coal, even if subject to the Hostmen monopoly, had now created a glut. How was the Newcastle syndicate to keep its revenues high when supply temporarily outstripped demand? One way was with false weight shipments, provoking a parliamentary weights and measures law aimed at counterchecking the "deceits, exactions and abuses" and the "blatantly dishonest practices of the [coal] profiteer." But it soon proved difficult to enforce. With their excess funds, the Hostmen created banks that lent capital to ship companies, mine operators and others in the industry that needed money. After the Great Fire of London of 1666, Parliament began taxing coal for urban reconstruction. There were taxes for Warwicke Lane, Paternoster Row, and Watling Street, to rehabilitate ruined parishes, and to rebuild St. Paul's Cathedral. Eventually, eleven separate taxes were levied over the next several decades, so much so that all increases in the price of coal arose not because of further price hikes, but because taxes were passed through to the public. As much as £40,000 annually was generated by coal tax. Unfortunately, many of the admirable public works cited never saw the money. Instead, the coal taxes went to reduce national debt and finance a war with Spain and France. Even as they were taxed, the Lords of Coal found new ways to increase their profits and manipulate the coal supply. One was to secure tiny lengths of roadway called "way leaves," and extort from coal miners huge tolls to pass. It was the same notion as the keelboat exaction, but these blockaded yards were on dry land. Another scheme was to pay miners to keep their coal in the ground. That kept supply tight. Uncooperative competitors would soon find their mines "drowned," that is, flooded. Parliament passed a law against "drowning" of mines, but that statute was also ineffective. In consequence, tax or not, glut or not, mass poverty or not, the Hostmen secured profits as high as 65 percent. In 1703, Queen Anne demanded Parliament halt the Hostmen's unique ability to "enrich themselves by a general oppression of others, and particularly the poor." One hapless complainant lamented, "The world is now come to that sad pass that an honest man cannot live; for he gives to every one his due, he gains nothing; and if he does not... he shall have no trade." However, over the decades to follow, endless parliamentary investigations of Hostmen windfall profits, from generation to generation, yielded no change. The Hostmen always produced smart defenses, polished cost justifications and retained the best spokesmen to make their case. But no investigation or statute could do more than pause the group's exploitation of coal to the disadvantage of all who burned it. In 1708, the Hostmen expanded far beyond their Newcastle environs, launching the so-called Regulator Plot. This newest conspiracy sought to artificially create secret price increases and charges with London lightermen. The lightermen or wharf men were former woodmongers who unloaded the coal cargo boats. The conspiracy created a pyramid of coal cost escalations which was broken only by a quick parliamentary statute outlawing lightermen combines. As deep as the mines are the tales of Hostmen devices to manipulate coal prices and these antics, sometimes coercive and sometimes just conspiratorial, continued throughout the eighteenth century. When thwarted by laws and investigations, the Hostmen extracted extra monies out of their miserable workers, the keelmen and the coal miners themselves. The keelmen commonly organized labor strikes or even rioted. Municipal militias, civil lawsuits, lockouts, and prosecution broke their strikes. Coal miners broke their backs beneath the oppressive weight of the ore they pulled and pick-axed from the pits, so often iconically appearing as two white eyes within a disconsolate face of soot, breathed blackened air through blackened lungs, and from time to time were killed by drowning, suffocation and gas poisoning, or crushed by cave-ins, or blasted to bits by explosion. For their wretched toil, coal miners earned one or two shillings per day. When keelman or coal miners tried to come together in labor organizations for the collective good, legal action was taken against them for illegal combination and conspiracy. One defendant bemoaned, "We have many laws, Sir, for preventing combinations amongst poor workmen, but few if any for preventing combinations amongst the rich masters that employ them. The one I take as necessary as the other." What eventually happened to the Hostmen? As part of their efforts to trim expenses and eke out productivity gains, they helped sponsor and promote a new invention: a steam-driven engine that could be made portable to haul loads. Locomotives running on steel rails were able to drag tons of coal more cheaply than any combination of man and horse. Railroads quickly proliferated throughout the eighteen hundreds, not only as coal haulers, but also as general cargo trains and passenger conveyances. Mighty and mightier locomotives created a symbiotic engine for growth. Railroads moved coal more cheaply, opened up vast lands, connected coasts and countries, invented new economic systems, created cities, defined national territorial claims everywhere in the world and changed man's ability to travel and learn, trade and thrive, conquer and dominate. Bloody wars were fought to ensure their ownership and operation. Trains and the evolution of that industry spawned thousands of romantic chronicles by numberless buffs and historians in every country, enough to fill many libraries. That said, every time a train pulled out of the station, its coal cars brimmed. Encapsulated within those blackened heaps was the legacy of the Hostmen. With trains, coal mines far beyond Newcastle were finally able to free themselves from river transport. That was how the Hostmen cartel was finally broken up. Although the syndicate could not be defeated by labor riots, civil wars, parliamentary investigations, regulatory statutes and the will of the people, the Hostmen could not resist the unstoppable wave of technological progress. The quiet and gradual atomization of the Hostmen was hardly the end of an era. Rather, it was the beginning of a tradition bequeathed from fuel cartel to cartel as an established robber baron style of business. From the coal cartel of the Hostmen emerged the trains and the key ingredient needed to fire steam engines. Edwin Black is the author of the award-winning Internal Combustion (Dialog Press 2007), and the Plan.